Buy, Rent, or Design Build, Controlled Systems has the equipment you need! Nationwide, Controlled Systems is there. We offer daily, weekly, monthly and long-term equipment rentals to domestic customers, and Allied bases worldwide, as well as new and used cables, power conversion and testing supplies for sale. We also offer design-build services with over 30 years experience in the aircraft power industry. We’re knowledgeable, proactive problem solvers ready to help you get the job done. Click here for more information on equipment rentals. Controlled Systems was founded in 1972 upon a commitment to provide the highest quality products and absolute excellence in service. Our goal was to build lasting customer relationships and ultimately, to be the number one choice for power conversion and aircraft support products in every market we serve. While times have changed, so has our business – but these principles remain as important now as they did more than 30 years ago. It is our passion and commitment to these principles that is the foundation of our business and it is the very reason we have been a leading aircraft and ground based power conversion systems provider throughout our history. Controlled Systems’ 400Hz frequency converter utilizes the latest state of the art power conversion control and power switching, providing the ultimate in ground power support. The evolution of true DSP digital control enables Controlled Systems to provide ultra clean, precision 400Hz power as well as monitoring and diagnostics. The frequency converters can be provided with a wide range of input and output voltages, for global application requirements. Controlled Systems has frequency converters sized to suit the customer’s requirements, ranging from 1kVA to 1000kVA and above. Standard industry sizes and configurations are offered, as well as custom sizes and custom layouts for specialized ground power needs. The frequency converter can be packaged to suit all environmental conditions through NEMA standards 1, 12, 3R, 4, 4X and 3R/4X enclosures. Our support team will assist in developing frequency converter equipment to meet all your specific requirements. Controlled Systems applies the same state of the art technology found in the 400Hz equipment to its 50/60Hz power conversion equipment. The robust design of the 50/60Hz frequency converter provides our customers with reliable trouble free power for the life of the application. The frequency converters can supply converted power for either an individual application, or system design utilizing multiple outputs. The latest generation Controlled Systems frequency converter can be paralleled for redundant power system operation, with communication link capability for power monitoring. This communication ability provides the customer with an information base for today’s power monitoring software. We have a wide variety of input voltages for global applications. Controlled Systems utilizes single jacket, multi- conductor, low inductance 400Hz aircraft ground power cable. This offers significant advantages over cumbersome cabling made up of numerous single conductors banded together. The unique design has a patented cable head, whereby the nose and the power pins are separate, allowing replacement of the nose or any of the six pins individually. Subsequently, this provides lower repair and maintenance costs. The Controlled Systems 400Hz aircraft service cable is the optimum choice for use at commercial terminals, military parking aprons, hangars and test labs & shops. Controlled Systems’ Line Drop Compensators (LDC) is designed to maintain unity power factor for 400Hz ground power distribution systems. The LDC maintains a stable line voltage between the centralized power source, (Frequency Converter), and the aircraft’s input receptacle. Controlled Systems’ LDC automatically adjusts capacitive reactance to the circuit in order to cancel inductive reactance of the transmission system to prevent “Line Drop” occurrences. Controlled Systems’ LDC incorporates “Non-PCB”, oil filled tube capacitors and are built with tap settings to fine tune each circuit. The LDC is suitable for indoor or outdoor applications and can be stacked or incorporated into central distribution switchgear. Controlled Systems utilizes many forms of aircraft cable storage and deployment devices to fit all customer applications. Our cable hoist is designed for ease of installation and reduced maintenance. The hoist can be mounted on the side of a boarding bridge cab or from the ceiling of an aircraft maintenance hanger. Controlled Systems also supplies cable reels, both spring and motor driven for retraction and deployment of aircraft cable. These cable reels can be used on floor applications as well as suspended from aircraft maintenance hangar ceilings. Controlled Systems provides a heavy-duty aircraft cable rack in both floor and wall mount designs. Controlled Systems can provide cable retrievers for ease of deployment and proper storage. The cable retrievers are motor driven and are designed to coil the aircraft cable so that harmful twists and knots due not occur during the retrieval process. The Motor Generator (MG) equipment distributed by Controlled Systems, has been used in the aviation industry for decades, and continues to be a reliable choice throughout the generator- orientated industry. The proven long-life history from the rugged design of rotary generators provides another power conversion option. 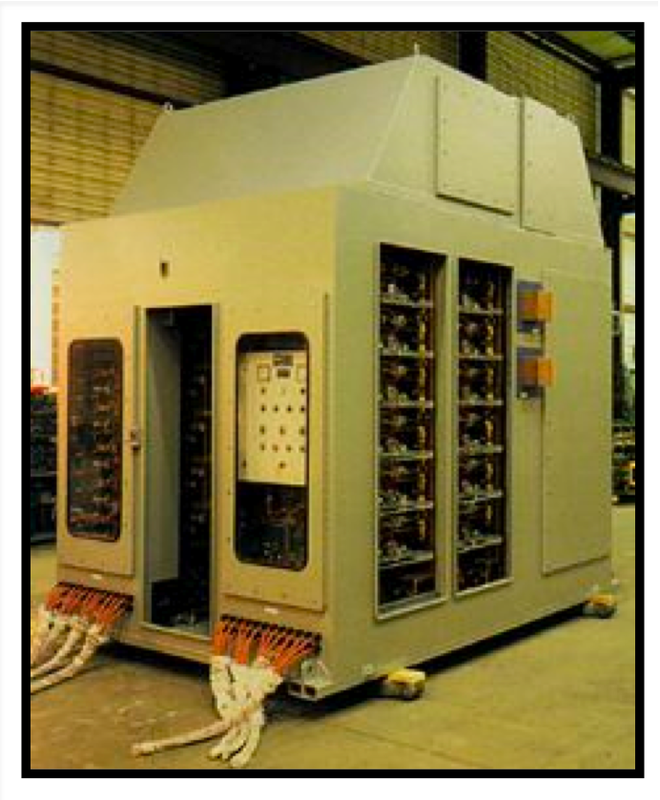 Controlled Systems Degaussing Systems are regarded as the most efficient and reliable in the world. 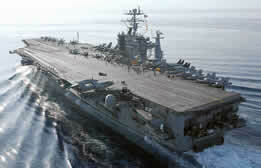 Our company has a reputation that has earned the privilege to defend our troops at sea on the most sophisticated carrier in the US Navy fleet; the CVN-77. The Controlled Systems Degaussing System design is built-up on fully computerized modules with fault tolerant distributed communication. Click Degaussing Systems for more information.